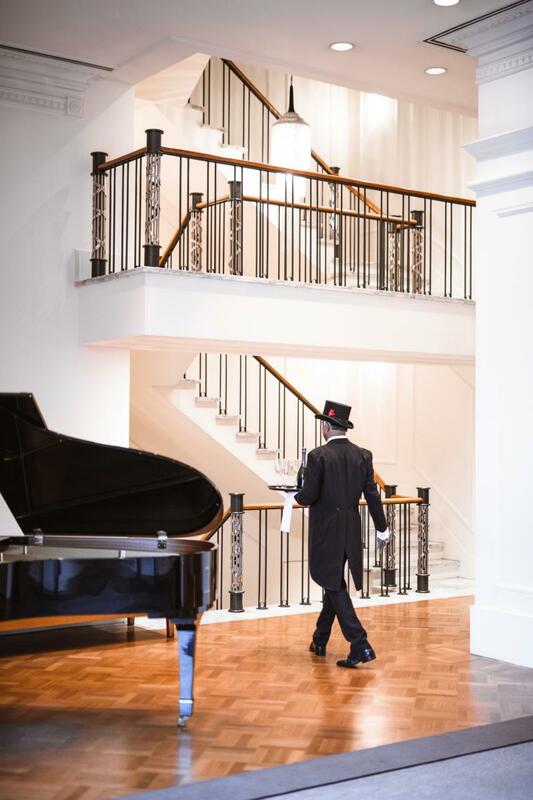 The grand hotel at the corner of Spencer and Little Collins Street has returned to its heyday as one of the city’s most sought-after hotels, following a multi-million-dollar refurbishment last year. The Savoy Hotel on Little Collins, Melbourne was unveiled last October, under the TFE Hotels Collection brand – a portfolio of beautiful discovery hotels with a sense of story, place and purpose. The stunning design by Woods Bagot transformed the existing Vibe Savoy Hotel Melbourne into The Savoy Hotel on Little Collins. The sophisticated address is in the heart of cosmopolitan Melbourne, with the city’s best boutiques, cool laneways and bars on its doorstep. The design has a modern and inviting appeal that pays tribute to the Art Deco era of the original Hotel Alexander built on the site in 1928. The Savoy Hotel on Little Collins has 163 beautiful guest rooms with plush furnishings in a classic palette of dove grey, blue, white and charcoal, with full-length mirrors and custom carpet featuring period motifs. Each bathroom has white subway tiles and chequerboard black and white tiled floors, contrasting with chrome tapware that reflect the heritage elements of the building. The sophisticated lobby evokes an inviting sense of arrival with its warm timbers, smoked mirror and brass elements complemented by luxurious soft furnishings with colourful custom rugs. The Boardroom’s rich palette of timber, leather and stone provides an elegant space ideal for a private dining experience or a business meeting. The level two restaurant has new-look interiors, playing on a spectacular 10-storey atrium, which fills the space with natural light and is complemented by magnificent chandeliers. 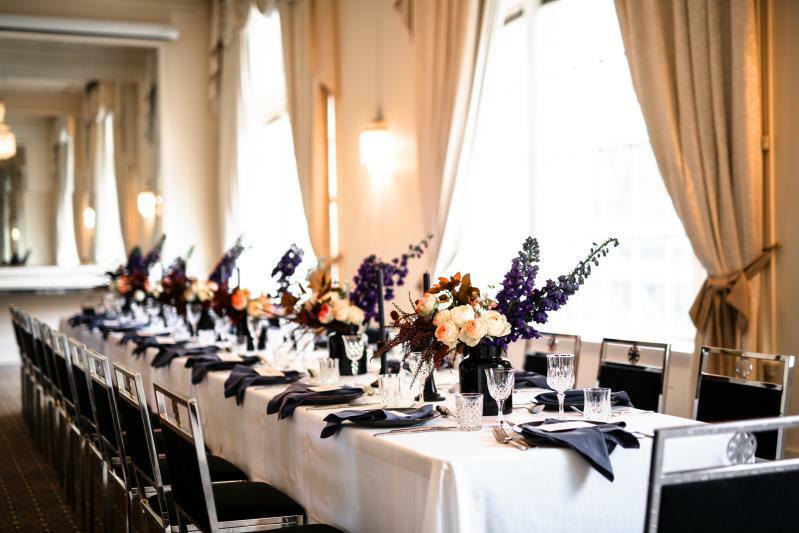 The original ballroom is ideal for sophisticated weddings. TFE Hotels Chairman Allan Vidor said the hotel had such a wonderful story, in its history, and in its place in the Melbourne psyche – which made it a perfect fit for the TFE Hotels Collection brand. Woods Bagot is famous for remarkable hotels world-wide and lifestyle and commercial projects such as Sydney’s The Ivy complex and Melbourne Convention and Exhibition Centre. The site on the corner of Spencer and Little Collins streets is one of Melbourne’s most significant, having first operated as a hotel in 1866, when Charles Alexander built a three-storey brick structure known as Alexander’s Family Hotel, opposite Spencer Street Station. In 1926, new owner James Richardson started construction of the first 20th-century American-style hotel in Victoria, advertising it as the first in Australia to have ensuite bathrooms and a controlled-temperature interior environment. It was designed by Leslie M. Perrott, who later designed the Chevron Hotel, built for Melbourne’s Centennial celebrations, and Hotel Australia, which became the social epicentre of Melbourne in the 1940s. Richardson and Perrott spent five months touring the USA in 1924 for new ideas to inform the hotel design, and the usually frugal Richardson lavished £300,000 on the building and another £50,000 on furniture and fittings. The hotel&apos;s magnificent lobby, entered by a wide flight of stairs from Spencer Street and filled with light through tall windows, occupied the entire first floor. On 31 January 1928, Premier Hogan officially opened the 200-room Hotel Alexander with a formal dinner. who&apos;s who of international show business including Louis Armstrong, Nat King Cole and Ella Fitzgerald. Several young Australians, including John Farnham, Rolf Harris and the Seekers, began their careers there. Frank Sinatra, performing at nearby Festival Hall, was a guest, as were Ava Gardner, Fred Astaire, Anthony Perkins and others during the filming of On the Beach. TOGA Hospitality opened it as Vibe Savoy Hotel Melbourne. It continues to be operated by TFE Hotels. TFE Hotels Collection is a portfolio of unique and beautiful discovery hotels with a sense of story, place and purpose. These are hotels hall marked by authenticity and provenance, captivating in their individual character and charm. Engaging teams deliver signature dining offerings, promising memorable experiences. With TFE Hotels Collection, from the moment you step inside, you will be captivated by the place’s charm and inspired by its stories. Each hotel lives and breathes its location, offering experiences tailored to the guest, allowing them to immerse themselves in the destination. They offer stylish restaurants and sophisticated cocktail lounges, well-equipped gyms, attentive concierges and spacious guest rooms.